Prophet (saw): “Don’t harm me by harming Aisha”. حُمَيْدُ بْنُ زِيَادٍ عَنِ ابْنِ سَمَاعَةَ عَنْ جَعْفَرِ بْنِ سَمَاعَةَ عَنْ دَاوُدَ بْنِ سِرْحَانَ عَنْ أَبِي عَبْدِ اللَّهِ ( عليه السلام ) قَالَ إِنَّ زَيْنَبَ بِنْتَ جَحْشٍ قَالَتْ أَ يَرَى رَسُولُ اللَّهِ ( صلى الله عليه وآله ) إِنْ خَلَّى سَبِيلَنَا أَنَّا لَا نَجِدُ زَوْجاً غَيْرَهُ وَ قَدْ كَانَ اعْتَزَلَ نِسَاءَهُ تِسْعاً وَ عِشْرِينَ لَيْلَةً فَلَمَّا قَالَتْ زَيْنَبُ الَّذِي قَالَتْ بَعَثَ اللَّهُ عَزَّ وَ جَلَّ جَبْرَئِيلَ إِلَى مُحَمَّدٍ ( صلى الله عليه وآله ) فَقَالَ قُلْ لِأَزْواجِكَ إِنْ كُنْتُنَّ تُرِدْنَ الْحَياةَ الدُّنْيا وَ زِينَتَها فَتَعالَيْنَ أُمَتِّعْكُنَّ الْآيَتَيْنِ كِلْتَيْهِمَا فَقُلْنَ بَلْ نَخْتَارُ اللَّهَ وَ رَسُولَهُ وَ الدَّارَ الْآخِرَةَ . عَنْهُ عَنِ الْحَسَنِ بْنِ سَمَاعَةَ عَنْ وُهَيْبِ بْنِ حَفْصٍ عَنْ أَبِي بَصِيرٍ عَنْ أَبِي جَعْفَرٍ ( عليه السلام ) قَالَ إِنَّ زَيْنَبَ بِنْتَ جَحْشٍ قَالَتْ لِرَسُولِ اللَّهِ ( صلى الله عليه وآله ) لَا تَعْدِلُ وَ أَنْتَ نَبِيٌّ فَقَالَ تَرِبَتْ يَدَاكِ إِذَا لَمْ أَعْدِلْ فَمَنْ يَعْدِلُ فَقَالَتْ دَعَوْتَ اللَّهَ يَا رَسُولَ اللَّهِ لِيَقْطَعَ يَدَيَّ فَقَالَ لَا وَ لَكِنْ لَتَتْرَبَانِ فَقَالَتْ إِنَّكَ إِنْ طَلَّقْتَنَا وَجَدْنَا فِي قَوْمِنَا أَكْفَاءَنَا فَاحْتُبِسَ الْوَحْيُ عَنْ رَسُولِ اللَّهِ ( صلى الله عليه وآله ) تِسْعاً وَ عِشْرِينَ لَيْلَةً ثُمَّ قَالَ أَبُو جَعْفَرٍ ( عليه السلام ) فَأَنِفَ اللَّهُ عَزَّ وَ جَلَّ لِرَسُولِهِ فَأَنْزَلَ يا أَيُّهَا النَّبِيُّ قُلْ لِأَزْواجِكَ إِنْ كُنْتُنَّ تُرِدْنَ الْحَياةَ الدُّنْيا وَ زِينَتَها الْآيَتَيْنِ فَاخْتَرْنَ اللَّهَ وَ رَسُولَهُ فَلَمْ يَكُ شَيْئاً وَ لَوِ اخْتَرْنَ أَنْفُسَهُنَّ لَبِنَّ . How many conspiracy theories can be built upon these two authentic traditions? Unique Virtues of Aisha (ra), Mother of Believers. …And from her unique virtues [May Allah be pleased with her] is that she was the dearest wife to the Messenger of Allah [Prayers of Allah and peace be upon him] as was proven in Bukhari and others, when he [Prayers of Allah and peace be upon him] was asked whom among the people is the most beloved by you, so said: Aisha. [He was then asked] and from the men, so he said: her father. …And from her unique qualities [May Allah be pleased with her] is that he [Prayers of Allah and peace be upon him] did not marry a virgin except her. …And from her unique virtues [May Allah be pleased with her] is that he [Prayers of Allah and peace be upon him] did not did receive Revelation in the cover of any, except hers [Bukhari]. …And from her unique virtues [May Allah be pleased with her] is that when the verse of the choice was revealed to him [Prayers of Allah and peace be upon him] he started with her and gave her the choice and said: “You do not have to hasten until you have consulted your parents� so she [May Allah be pleased with her] replied back saying: Is this a matter that needs consultation of my parents, rather I want Allah, His Messenger, and the Hereafter. These words of her were taken an example and followed by the rest of his wives [May Allah be pleased with them], who said as she said. …And from her unique virtues [May Allah be pleased with her] is that Allah cleared her from that which the people accused her of, and [Allah] revealed in her excuse and proclamation of her innocence a Revelation recited in the Mihrabs of the Muslims and during their prayers until the day of Resurrection. He [Glorified is He] bore witness that she is from among the pure, and He promised her forgiveness and a rich noble provision. He [the Exalted] said that what was said of Al-Ifk (the Slander which occured against our mother) brought good to her, and that this which was mentioned was not bad for her in any way neither was she at fault nor was this something that would degrade her status in any way, rather it was something by which Allah elevated her status and raised her level. It gave her a noble mention of both purity and innocence among the dwellers of the Earth and Heavens, so what great is that of a virtue for her [May Allah be pleased with her]. …And from her unique virtues [May Allah be pleased with her] is that: The seniors from among the companions [May Allah be pleased with them] when they were confused or unsure about a matter pertaining to the Religion, they would ask her and would find knowledge of what they asked with her. …And from her unique virtues [May Allah be pleased with her] is that: the Messenger of Allah [peace be upon him] died at her home, during her day, on her chest, and was buried in her home. Courtesy: Brother Mahmoud al Misri from multaqa ahlalhadeeth forum. In the this article we will use two reliable and well-known sources of the Shia such as Tafsir al-Mizan and Sahife Sajadia. 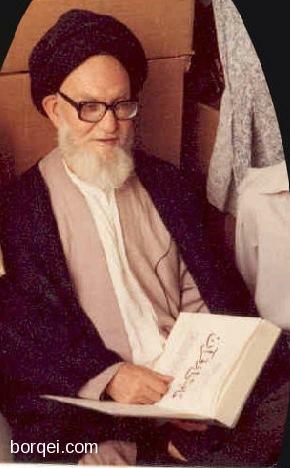 We first start with the Tafsir al-mizan work of a well-known Shia scholar, Allameh Muhammad Husayn Tabatabaei. Check his sincere Tafsir of the verse above. Go to http://www.holyquran…izan/index.html then go to Ayah 100 of Surah Al-Tawbah. He rejects: Infallibility/Rajah/Shia-Shirki Tawasul/Takfeer of the Sahaba/Knowledge of the unseen for Imams/Turbah in prayer (he got a nice article refuting it, and many Rafidi Khurafat, he is an “Ayatollah” himself, but he does not wear the priest habit anymore. Some believe he also does not believe in Wilayah/Imamah but is scared due to the pressure of the Iranian regime, for he can’t leave the country and is not allowed to preach in Mosques. Anyway his state of health is not the best and he can’t leave Iran anyway (some of his books are allowed to be published in Iran, some not, like refutations on some Rafidi beliefs). Subhanallah! there is not a SINGLE Ayah ordering us to follow “12 Imams” only, not a single Ayah saying:”Follow Ahl Al-Bait, those who follow Ahl Al-Bait are the victorious ones, Allah is pleased with them etc.”, yet, there is a clear-cut, MUHKAM Ayah telling us that those who followed the SABIQOON of the Sahaba (among them Ali, Omar, Abu Bakr etc.) in goodness, Allah is PLEASED with them. The same MUHAJIR SAHABA Sabiqoon overwhelmingly agreed on Abu Bakr the Siddiq of this Ummah. ALLAHO AKBAR! HOW CLEAR IT IS. MAY ALLAH BE SATISFIED WITH ALI IBN AL HUSSEIN (Zayn al abideen). Since always Rafidha claim that they follow the Ahlelbayt and we the Sahaba (which is a ridiculous statement since the Ahlelbayt are Sahaba aswell). 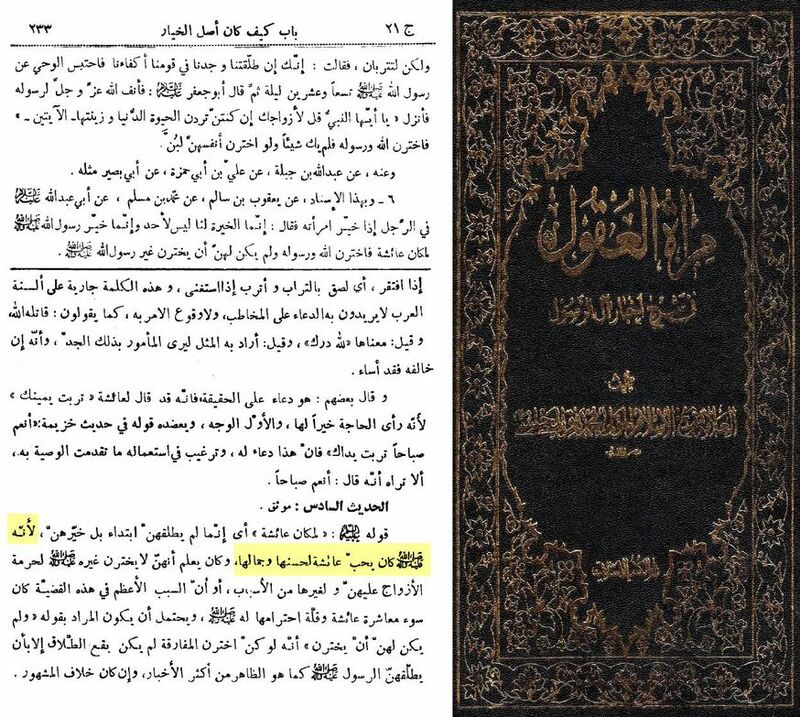 Contrary to what they suggest (about referring to Ahlalbyat), Aliebnel Husayn in his book Sahifeye Sajjadia (which is considered as a very reliable book by Zaidi and Imami Shia scholars) advises us to learn our religion from the companions of the Prophet صلی الله علیه وسلم (which is quite ironically is exactly what Ahl Al Sunna are trying to do). Article written by brother Faylaq Omar (Member of Islamic-Forum.net) and edited and formatted by us. The Sunni muslims believe that Alelbait refers to the wives and children of a person but the shia’s have a different view. While according to the Sunnah of the Prophet (peace and blessings of Allah be upon him), the arabic language, intellect and logic, the mother of believers (may Allah be pleased with them) are from the Ahlelbait of the Prophet (saw). For this article, I will use only the book of Allah (swt), the Quran. Inshallah! Allah (swt) has expressed the honor of the mother of believers (ra) in the Quran and revealed many verses about them but there is no mention of the ‘Infallable’ Imams not even a single clear verse. Allah (swt) futher makes the mother of believers (ra) different from other women by the following verse. The verse shows that the mother believers have high status and they are special people and they would get double punishment if they commit open immorality because they are an example for the other believing women to follow. While in the Quran, there is no such thing for the ‘infallable’ Imams. You will not find a verse where Allah (swt) says that you “‘infallable’ Imams are not like other people etc”. The readers should think about these points. Moreover, in the next verse Allah (swt) tells the mother of believers (ra) if they do good deeds, he would give them double reward. This means, If Syeda Aisha (ra) does a good deed, she would get double reward. The ‘infallable’ Imams who are considered infallable, knower of the unseen etc by the shia, no where such verses are revealed about them, no attention is given them. Why? Are they really divinely appointed leaders? Would the world really perish without an ‘infallable’? In the following verse, Allah (swt) orders the mother of believers (ra) to remember what is recited of the verses of Allah in their houses. While no such order is given to the ‘infallable’ Imams. Allah (swt) further advises the mother of believers (ra). Allah (swt) honours the mother of believers with the special title. Whereas no special title is given to the ‘infallable’ Imams. The following verse shows the continuity of love and relationship between the Prophet of Allah (saw) and his wives after his death. The glad tidings of paradise for the mother of believers.